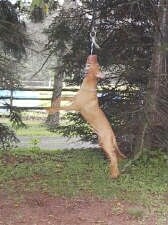 A Pit Bull Terrier swinging from a rope. 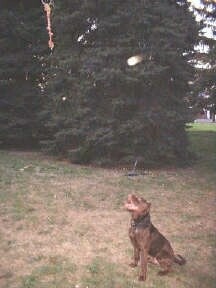 A Pit Bull Terrier about to jump for a rope. 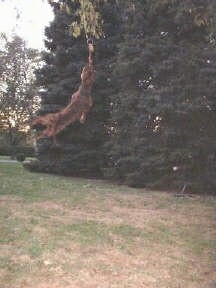 A Pit Bull Terrier jumping for a rope. 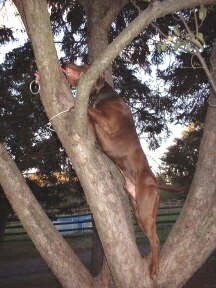 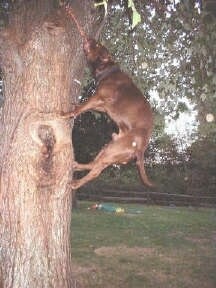 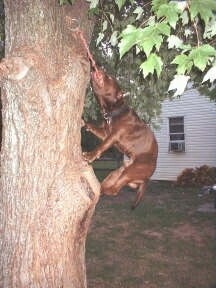 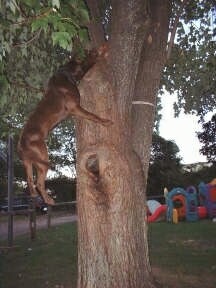 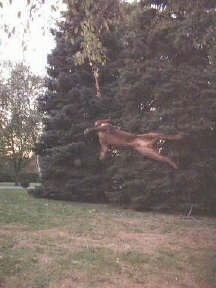 A Pit Bull Terrier climbing up a tree after a rope.